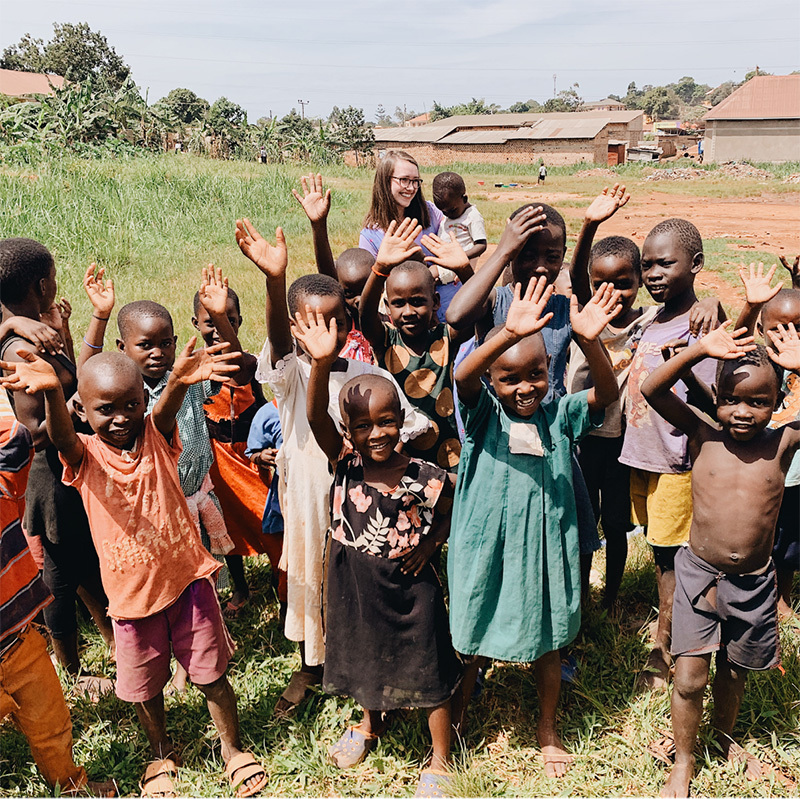 A semester abroad in Uganda means walking on red dirt roads as you pass vibrantly colorful markets, rows of emerald green banana trees, and crowds of happy kids who love playing outside before English lessons start. 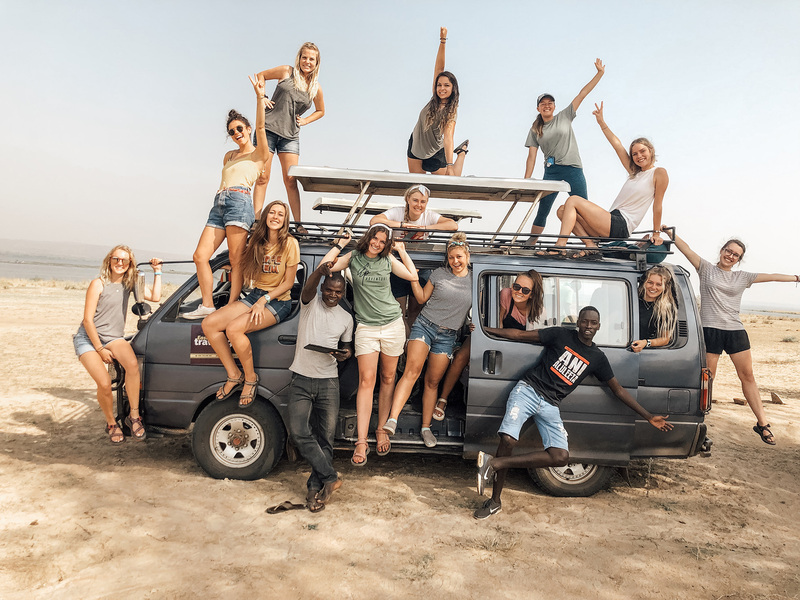 With weekends and vacation time to explore what this country has to offer, Uganda is also a place where you can do even more outside of the classroom. If you’re looking for a semester full of adventure, experience, and multiple ways to give back, this country is for you. 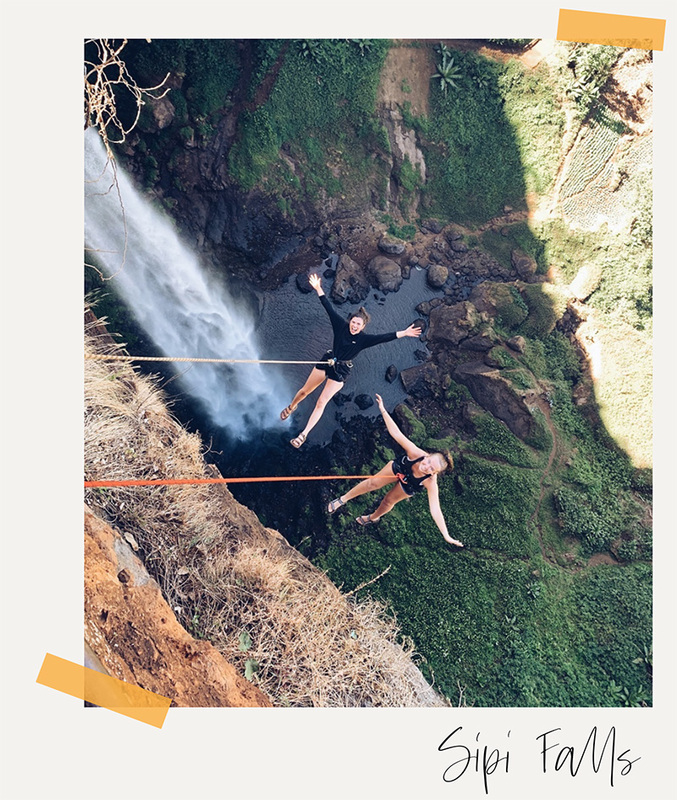 Uganda is full of outdoor adventures from safaris to repelling down waterfalls to white water rafting. 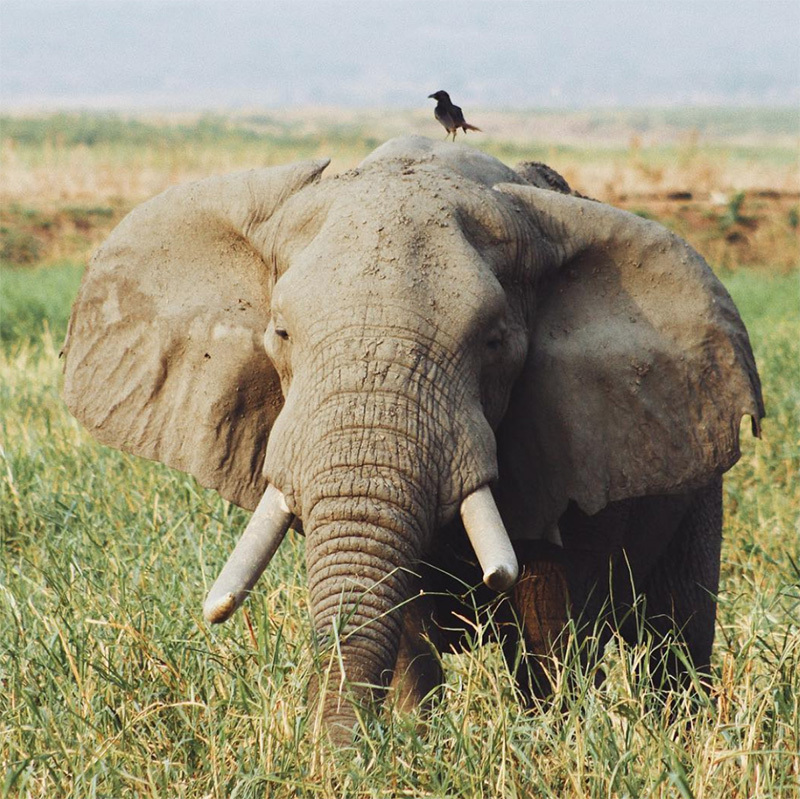 And don’t miss out on visiting and supporting animal sanctuaries sprinkled throughout the country, like the nearby island chimpanzee rescue or even feeding giraffes and baby elephants in Entebbe. 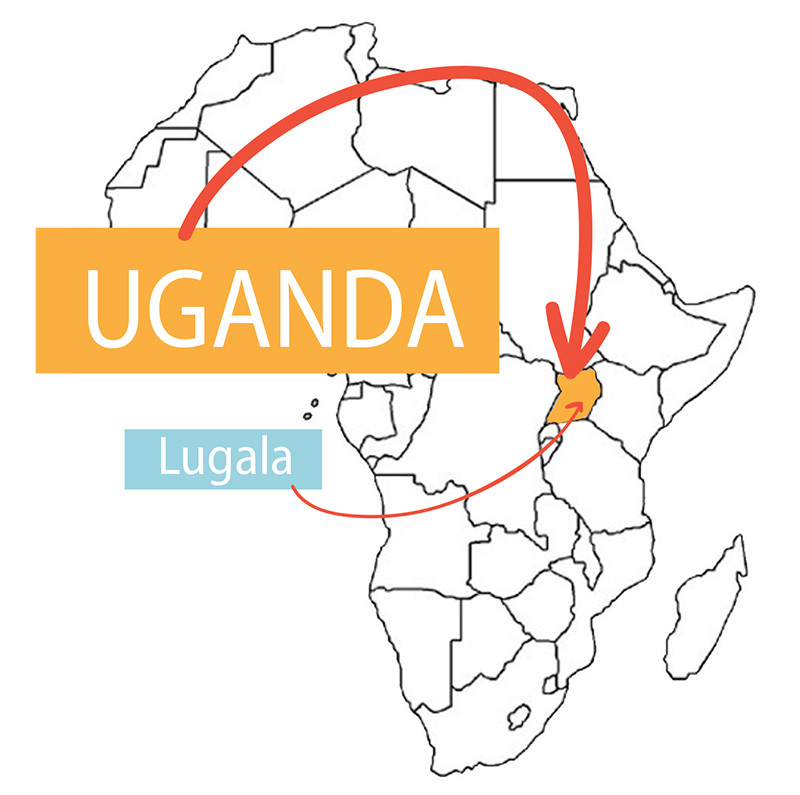 Uganda is known as the “Pearl of Africa” because of its humid and beautiful weather that brings so much greenery! 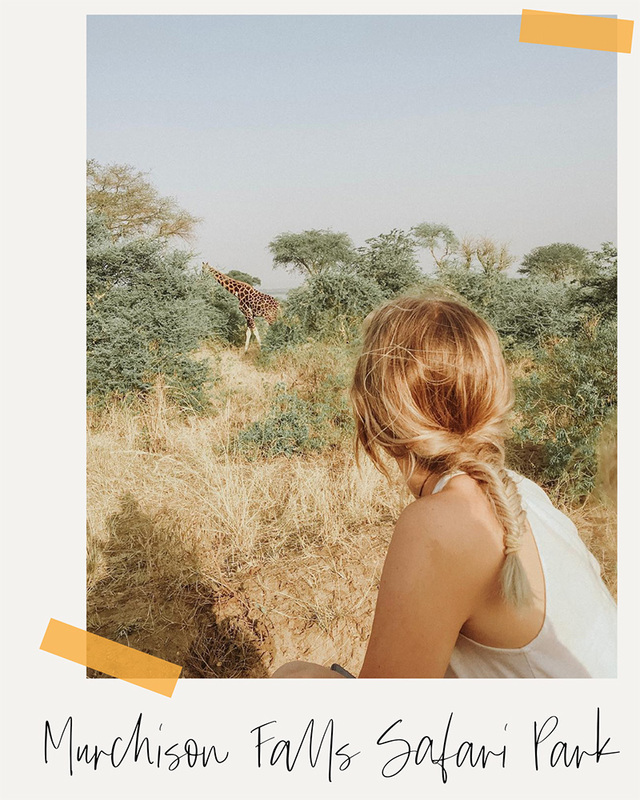 Murchison Falls National Park — You’ll find a handful of National Parks to safari through in Uganda and this is just one of our favorites where you can spot animals like giraffes and the “Big Five”. 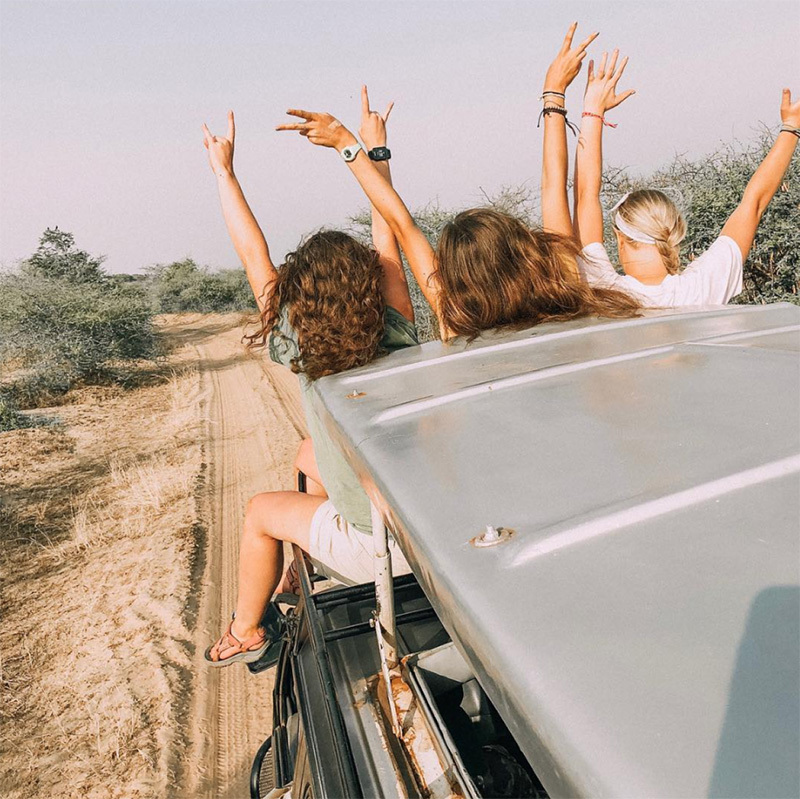 Spend a few days jeeping around, taking a boat ride to the falls, and even take a guided walk through a rhino sanctuary. Queen Elizabeth National Park, Uganda — This is just one of the top spots for safari in Uganda where you can spot elephants, buffalo, hippos, lions and others; if you get lucky, you might even spot a leopard. 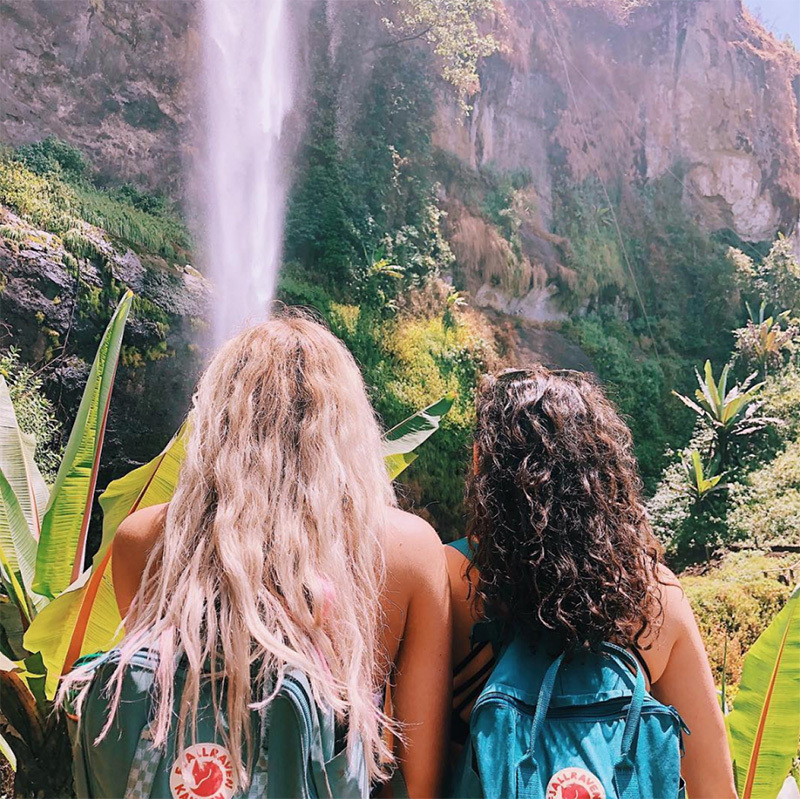 Sipi Falls, Uganda — Enjoy your trek out to these stunning waterfalls and don’t forget to jump in and cool off in the pools before heading back out … and if you’re feeling adventurous, our volunteers highly recommend taking the scenic route and repelling down! Kidepo National Park, Uganda — Some call this spot the “best of Uganda”. 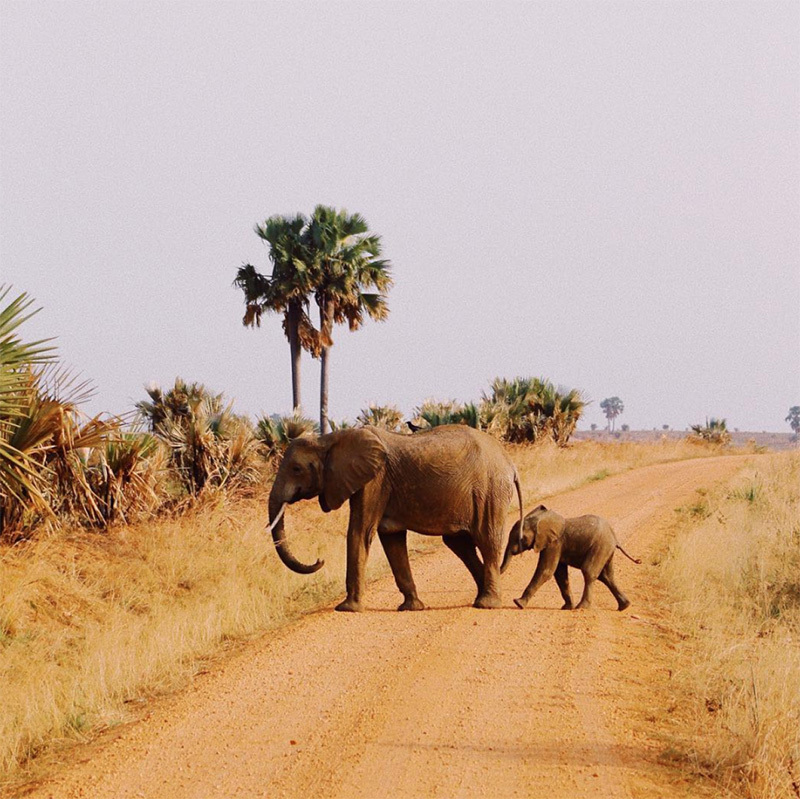 Another national park hiding some of the animals you’re itching to see in person, you’ll find towering mountains and lush plains and of course, animals like elephants, baboons, ostriches, and the occasional lion and giraffe. Lake Bunyoni, Uganda — Head towards the Rwanda border to stay at a lodge on this gorgeous lake overlooking islets; you can swim and take nature walks where you may even spot some zebras! 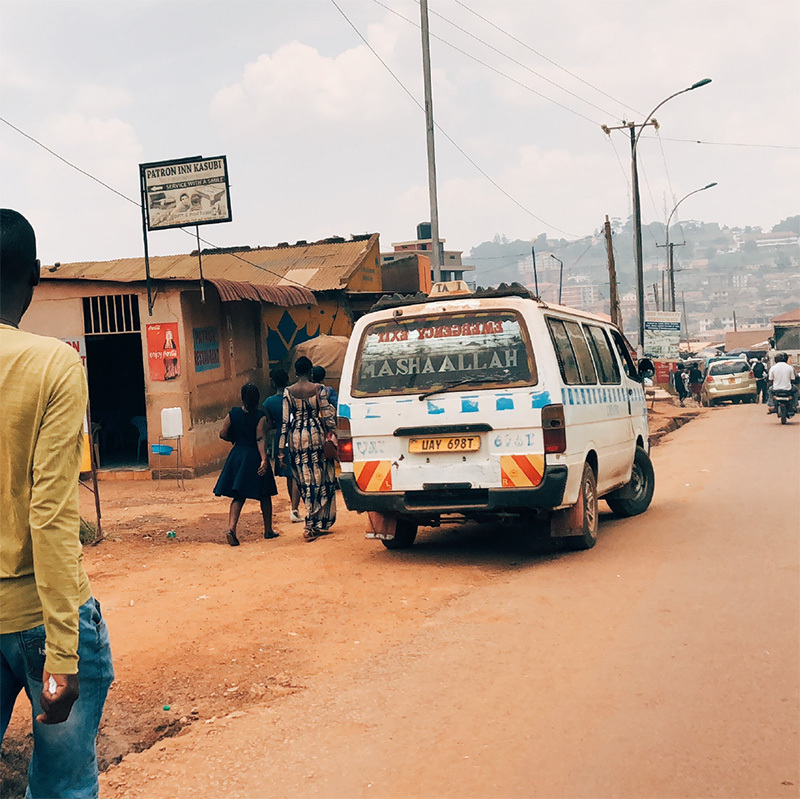 Jinja, Uganda — You’ll have the story of a lifetime after you head here to go white water rafting on the Nile River! Kenya — This country is home to the classic African safari. If you time your visit right, you can Jeep in to see around 1.5 million African plain animals make the trek across the grassy Mara plains for greener pastures. Zambia — A guided walking safari is a must in Zambia, or head to the incredible Victoria Falls to kayak at the base or even swim in Devil’s Pool above. Zimbabwe — Another country where you must visit the natural wonder that is Victoria Falls! Spot rhinos in Matopos National Park, explore the Great Zimbabwe Ruins, or go hiking in the east. Mozambique — For this coastal destination go island hopping and spot whales and dolphins; test your hand at snorkeling and scuba diving to see even more. 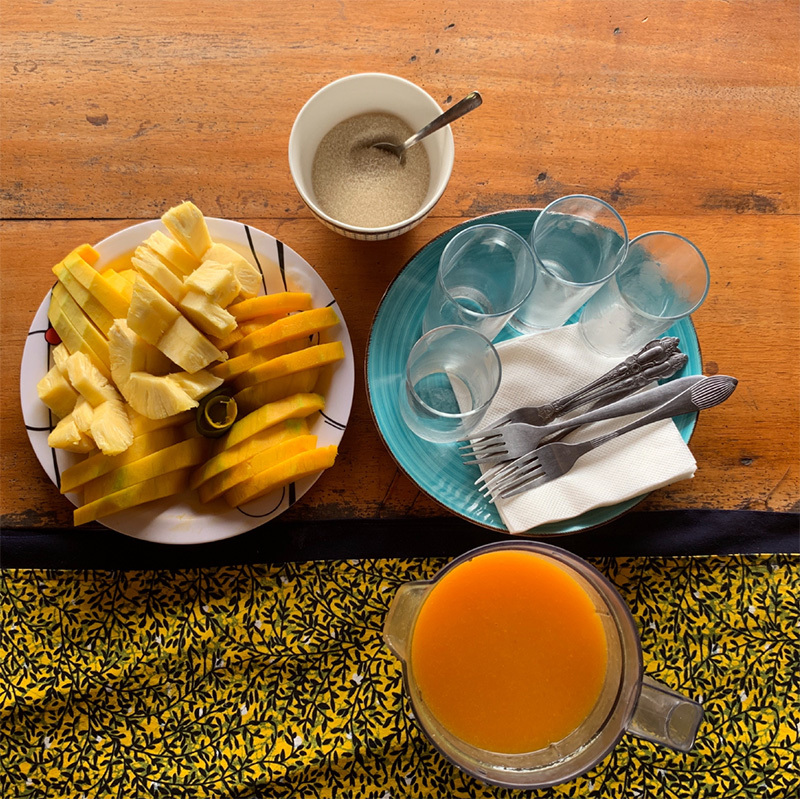 Rwanda — Hop over for the chance to hike volcanoes or relax on the shores of a few lakes. You’ll find plenty of lodges and resorts nestled deep into the green mountains of Rwanda or situated right on the beaches of clear mountain lakes. The Seychelles — A chain of 100+ islands, you’ll find turquoise waters, white sand beaches, and swaying palm trees. Along with some of the best seafood around, these tiny islands are also home to massive tortoises the size of a bathtub. Live with a group of other volunteers — You’ll be a in a large group of 15-20+ new friends! Your ewakka is a gated and secure home with several rooms (you’ll likely get to share with a few other volunteers which means slumber parties every night) and spaces to hang out. Enjoy traditional dishes made for you by a local (who you will come to love as much as we do by the way!) like beans, pasta, rice, and fruit. You’ll be greeted by your friendly neighbors, especially the kids who love to play in the street outside your gate. Get out and explore your little walkable neighborhood or even join the group for a workout at their favorite aerobics class a few times a week. 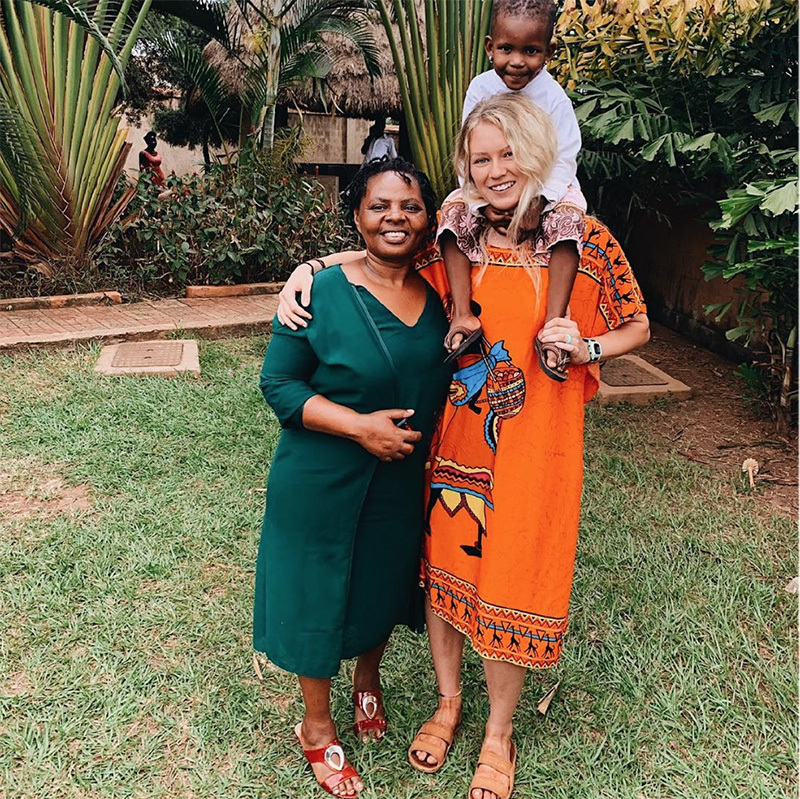 Check out a what a typical day looks like for an ILP volunteer and can’t miss experiences in Uganda here. Spring Semester: Depart mid to late January — return home the end of April. 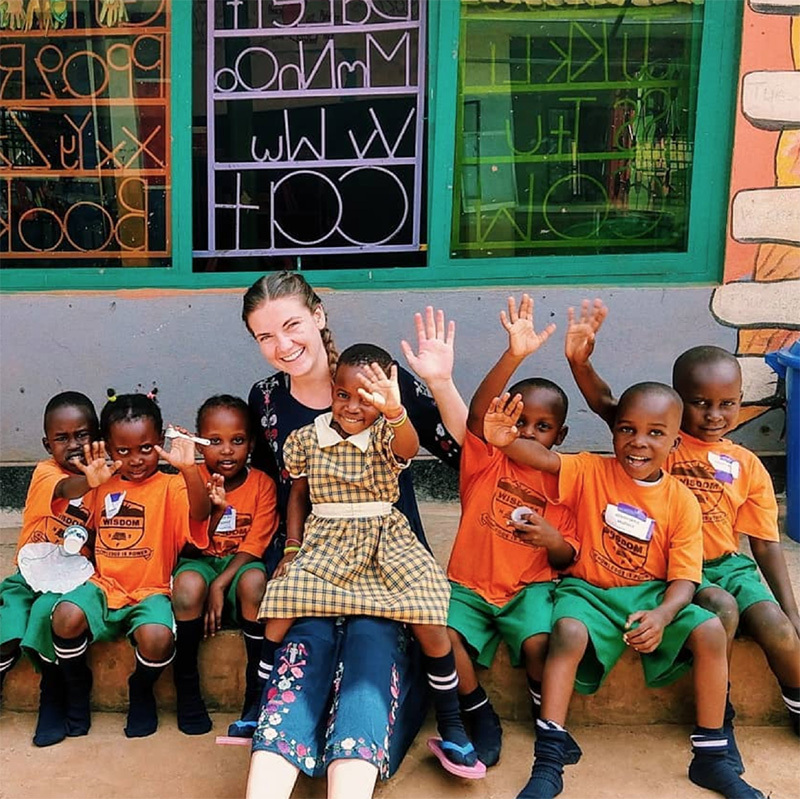 You’ll be making a difference by helping kindergarteners who come from limited means learn English through our Humanitarian Program up to 20 hours per week. No experience is needed, we provide training on our teaching method. 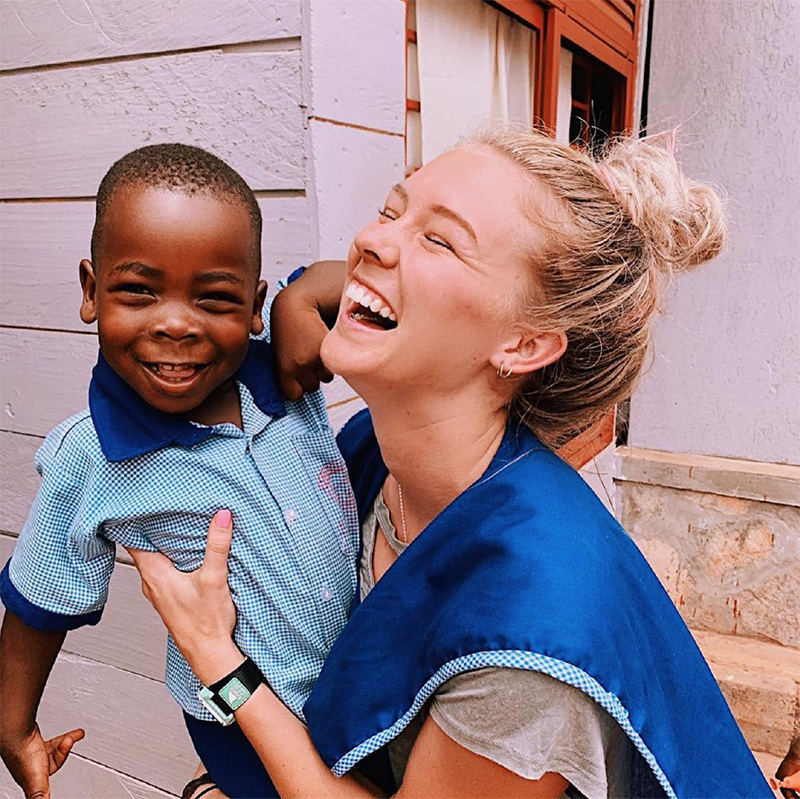 There are additional ways to serve such as visiting orphanages, nursing homes, and schools for children with disabilities. We also focus on projects building wells, which will provide clean drinking water for thousands of families in the community. Read further on how your service is impactful below. 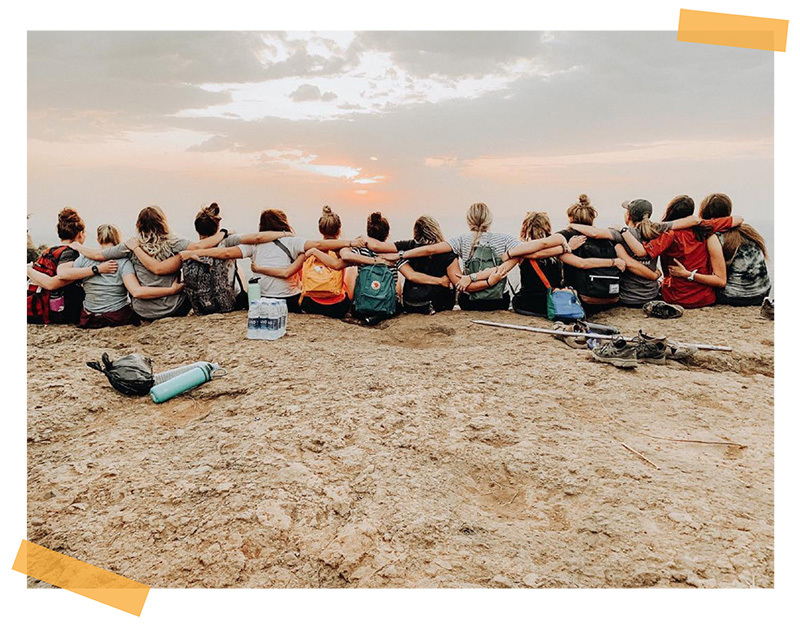 $5,470 — Includes your roundtrip airfare to Uganda, visa, housing, meals, language and culture classes, and training and support throughout the entire experience. 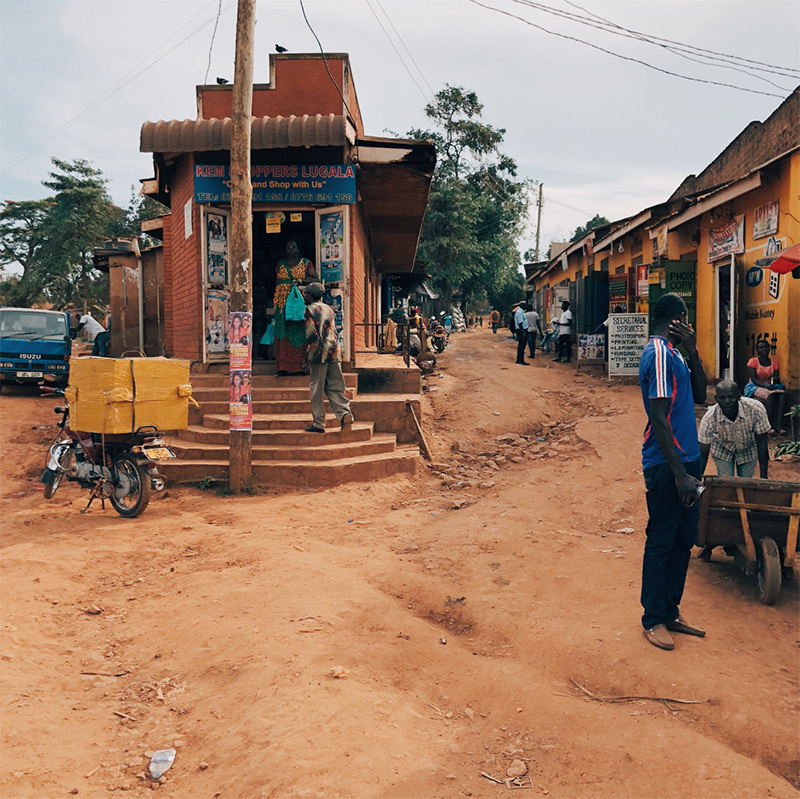 ILP volunteers live in Lugala, a smaller community on the outskirts of the capital, Kampala. Over 100 local languages are spoken in Uganda; because the country is so multilingual, English is a unifying language and commonly spoken. It’s used for everything from business to government and all public education classes. However, the children you will be teaching typically aren’t speaking English at home, which means learning English quickly and successfully will impact how well they do in school. Think about having your first day of school and sitting through a math lesson and a test in a language you don’t understand. 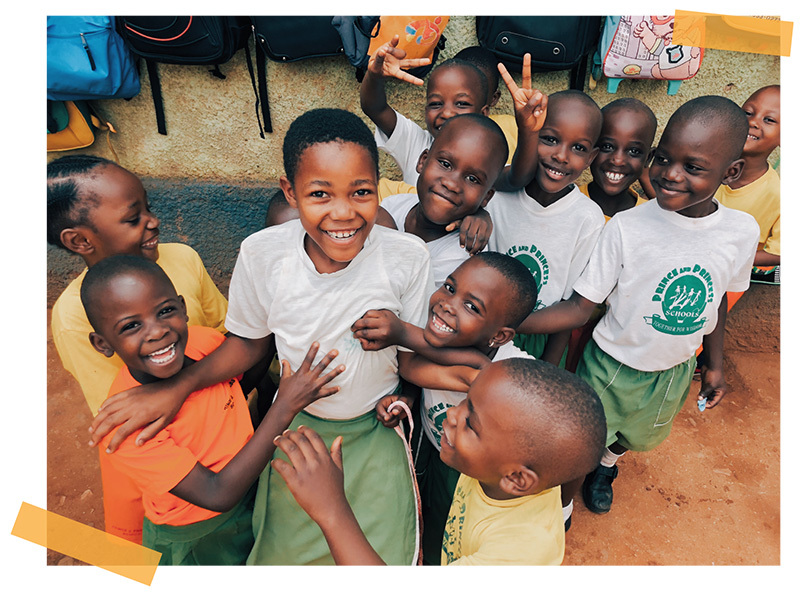 There’s a high drop out rate in Uganda, and one of the main causes for this is kids struggling with the language. The goal of ILP classes is to help kindergarten-age students (about 3-6 years old) speak English naturally so that they’re better prepared to do well in school now and also continue to speak English fluently later in life. 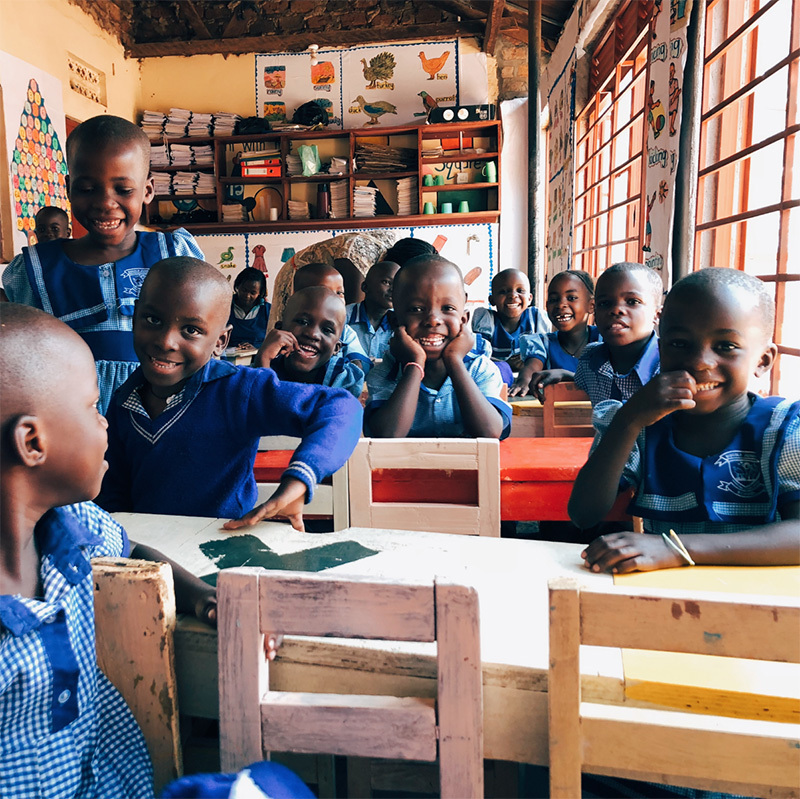 All ILP programs help children learn a skill that will benefit them in the future, but in Uganda, English is a skill that’s needed now while they’re young. 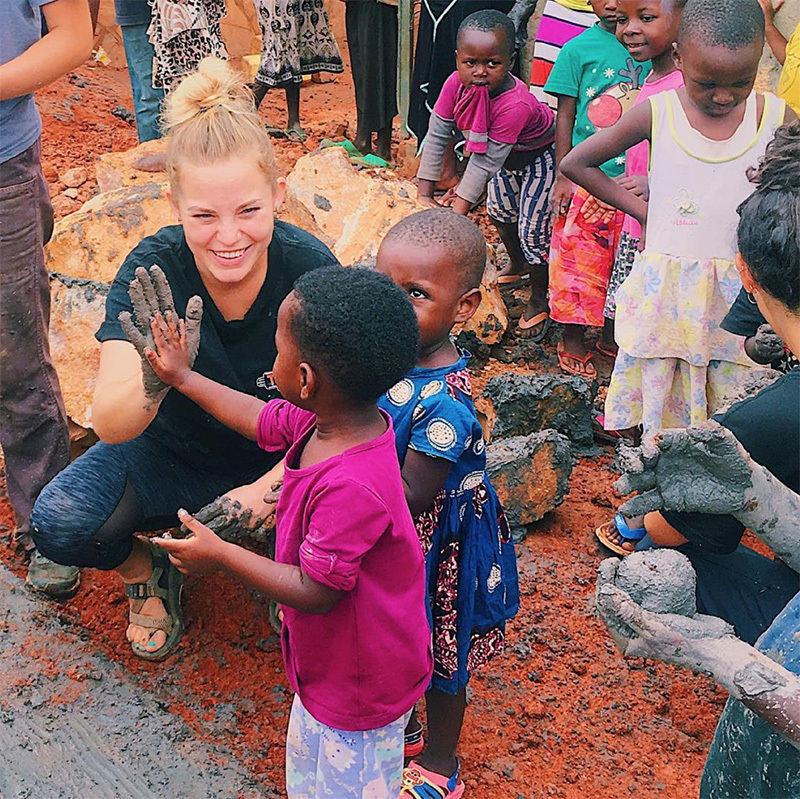 There will also be many other opportunities and projects where you can serve the community in other ways if you’d like to in your free time, such as clean water projects (help preserve a spring to provide clean water to hundreds or even thousands of local people), help with health and hygiene classes, etc.